In a previous post, I talked about several of the ways keeping a workout journal can motivate you and help you progress faster. If you’re sold on the idea, great! Here’s how to actually keep a workout journal. 3x5 squats 165 lbs. Felt hard--don’t increase weight next week. 3x10 pull ups bodyweight. Failed last rep on sets 2 and 3. 15 minutes stationary bike resistance level 10. Felt really good! 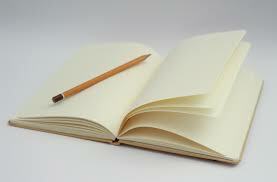 Including this information and organizing it this way allows me to easily look back and use the journal productively. The next time I do squats, I’ll be able to look back and see the exact weight I used and the note telling me I should stick to that weight for a while before increasing it. This helps me maintain a challenging workload without overdoing it and hurting myself. This example isn’t all-inclusive. Your training journal is yours, and you should include whatever details you like while tracking your progress. If you want to leave a note to yourself that you’ve been eating really well, that’s helpful because it’ll let you see the difference it makes during your workouts. Similarly, if you slept two hours last night and you want to write that down, go for it! The gym doesn’t exist in a vacuum, and it’s useful to have notes about the changing circumstances of your daily life. After all, we at Whole Health Club know that anything we do can have an impact on something else--that’s what a holistic approach is all about.